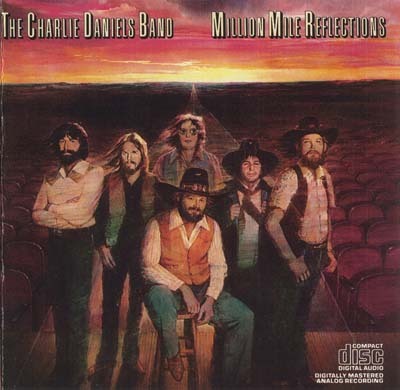 Million Mile Reflections is the 10th studio album by The Charlie Daniels Band, released on April 20, 1979. It is best known for the hit single "The Devil Went Down to Georgia". The title refers to the band having passed the million mile mark in its touring. The song Reflections is a tribute to Elvis Presley, Janis Joplin, and Ronnie Van Zant. Daniels dedicated the album to Van Zant, who had died in October, 1977 in a plane crash. La Forêt des Mal-Aimés is a 2006 studio album by Quebec, Canadian singer Pierre Lapointe being his second actual studio album after his Pierre Lapointe promotional limited edition album in 2002, but officially considered his debut official release on Audiogram records.